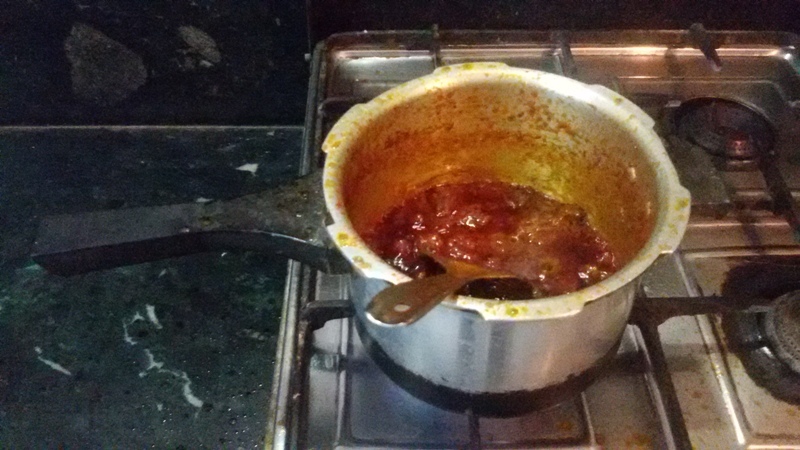 In a guest post Ms.Vishnu Priya,a house wife in Jaipur,shares the recipe for making a rajasthani curry using Aloe Vera ( Gawar Patha ) stems as found in rajasthan or the corner Reliance Fresh Store. 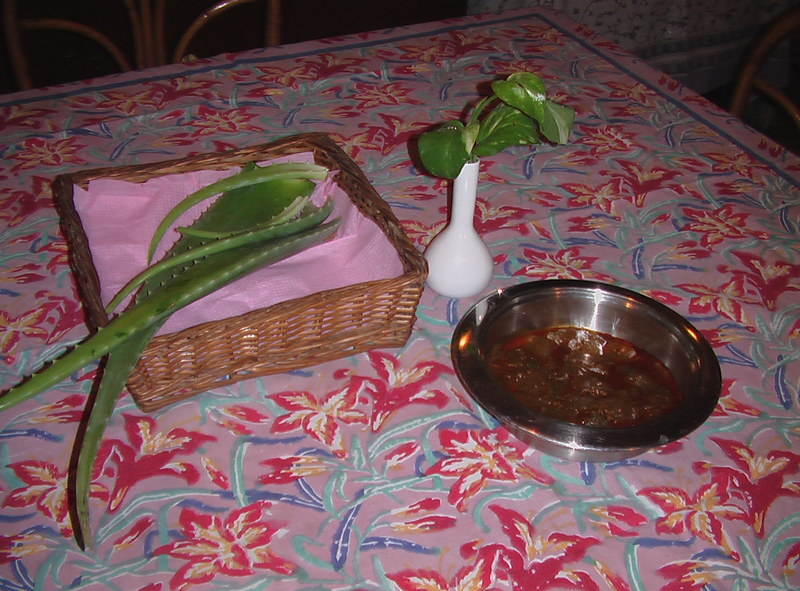 After washing the Aloe leaves peal them & cut them in 1 inch pieces and boil them in Salt water till they are a little tender.Throw away the salt water. This will remove the natural sourness of the Aloe. Keep the boiled Aloe aside. In a wok heat the oil till it smokes(removes the smell from the oil and cooks it).Add Heeng,Saunf,and dana methi.Just as they crackle ( on low flame) add chillies, turmeric,coriander,salt&amchur and fry the spices.Add a little water to cook the spices properly then add the boiled aloe and cook some more.Add the dry fruits.The vegetable is ready to be served.